If you are new to couponing take time out to learn about couponing 101 here. *On B1G1, use two coupons. *Make sure you scan your Kroger card for low prices. (Please note some Kroger’s double up to $0.60 in Texas and some (mine only doubles at $0.50) and then others double up to $0.39. So the price varies at each store. You might want to check with your own store and adjust the final price. This ad is for the Dallas/Fort Worth Kroger stores. Most Kroger stores in this area triple coupons up to 39 cents value and double coupons up to 50 cents value everyday! Kroger will double/triple 3 identical coupons per transaction. Please call your local Kroger before you shop to be sure of their individual coupon policy regarding doubling/tripling coupons. Also note that an ecoupon and a paper/printable coupon may not be used on the same product at the same time. Your ecoupon will come off automatically at checkout, so plan accordingly. BUY 10, GET $3 OFF INSTANTLY AT CHECKOUT! Save $3.00 Instantly at Checkout with your Shopper’s Card with the purchase of participating items. All products much be purchased in the same transaction. The following prices reflect the final price wyb 10 participating items. Pork Baby Back Ribs – $2.97/Lb. Kroger Value Split Chicken Breast, Bone-In – $0.99/Lb. Ground Round 85% Lean – $2.99/Lb. 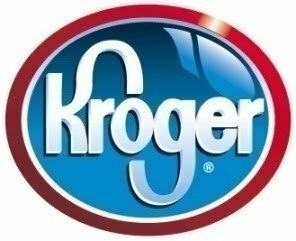 Kroger Value Whole Chickens – $0.88/Lb. Bonless Top Round London Broil – $3.49-Lb. California Yellow Peaches or Nectarines – $1.49/Lb. Northwest Red Cherries – $2.99/Lb. Red Tomatoes on the Vine – $1.25/Lb. Previous postFree Chips & Queso When You Join Chili’s Email Club!